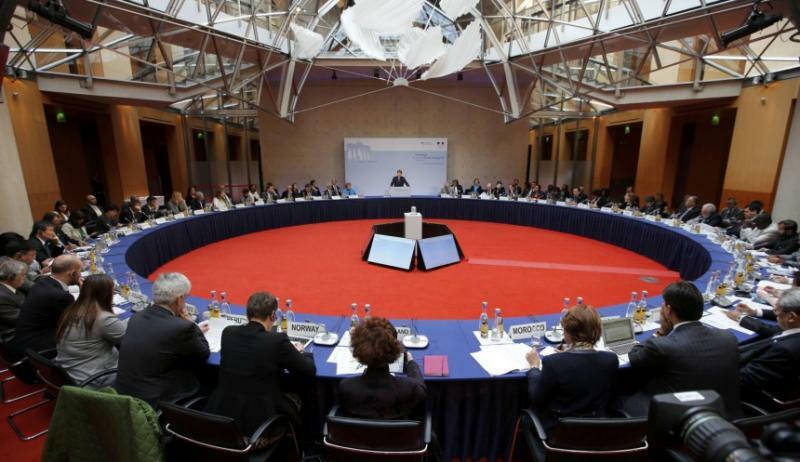 A conference titled Petersberg Climate Dialogue took place in Berlin. It was the continuation of the Petersberg Dialogue forum, initiated by Vladimir Putin and Gerhard Schroeder back in 2006 to promote cooperation between Russia and Germany in all areas. The conference this year was dedicated to the preparations to the UN climate summit to take place in Paris in the end of 2015. In order for Paris summit to become a success it is necessary that climate change discussion get more informal and active, say environmental NGOs. The initiative to create informal negotiation platforms dates back to the Petersberg Dialogue, a forum initiated by Vladimir Putin and Gerhard Schroeder to deepen mutual understanding between Russia and Germany, as well as to promote cooperation in all areas of the society. Over the years, other countries have joined the dialogue, and the scope of issues to be discussed expanded significantly. In 2010, as it was necessary to start over the negotiations about the new climate agreement, the Chancellor of Germany initiated an informal negotiation platform, the Petersberg Climate Dialogue. Over 35 Ministers of the related fields from different countries of the world took part in the berlin forum in 2015. They discussed the main points of the future Paris agreement. It mostly dealt with the national efforts aimed at climate protection and the question of participating in the financing of climate-related programs. Francois Holland, the President of France, and Angela Merkel, the Chancellor of Germany, who both took part in the Petersberg Climate Dialogue, confirmed their countries’ intention to aim towards low-carbon development. Angela Merkel confirmed the previously announced goal for Germany to reduce their carbon emissions by 40% by 2020 and by 95% by 2050. ‘We need to do everything necessary to make the Paris conference a success,’ said Angela Merkel at the official opening of the forum. She promised to double the financing of climate programs and projects by the end of this decade. Germany also announced their intention to increase the contribution to the Green Climate fund to help the poorest countries fight climate change. German climate funding is expected to grow up to 4 billion Euros per year. Francois Holland emphasized the importance of climate funding, especially directed towards the African countries and small island states. ‘If we fail to come up with adequate measures to help to the most vulnerable, the Paris agreement may lose its point,’ said Holland. He also advocated for the urgent implementation of emissions trading schemes as a way to reduce GHG emissions at minimum cost. ‘The symbolic name of The Petersberg Climate Dialogues gives us reason to expect a leading role of Russia in this process,’ says Olga Senova, Head of the Climate Secretariat, Russian Socio-Ecological Union. ‘The format of Petersberg Dialogues as a whole presents a good opportunity to hold international talks. Despite the current situation, a certain distant position that Russia took, and its inaction in terms of the international climate process, many climate-related initiatives are being implemented. For instance, a goal was adopted to reach the 75% level of emissions by 2030, compared to the 1990 level. A system to account for the GHG emissions is being introduced. Roshydromet published a new assessment report on the consequences of climate change on Russia’s territory. In some regions, new pilot climate plans are created. In order to make the Paris negotiations a success, the discussion of solutions to climate change issues should become more active and involve more countries. And Russia could play a significant role in this process.